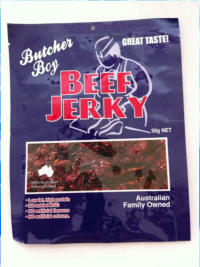 Butcher Boy Jerky is an Australian owned company operating from the Newcastle region of New South Wales. 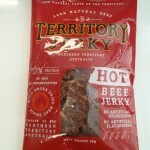 They are a family business made up of qualified butchers producing jerky made from quality Australian Beef. 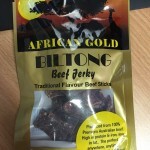 They have a range of standard flavours aswell as 5 interesting alcohol based jerky. 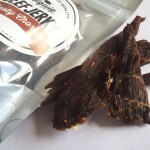 Butcher Boy jerky contains no artifical colours or msg.